"In order to change her rank she had to change the rules." 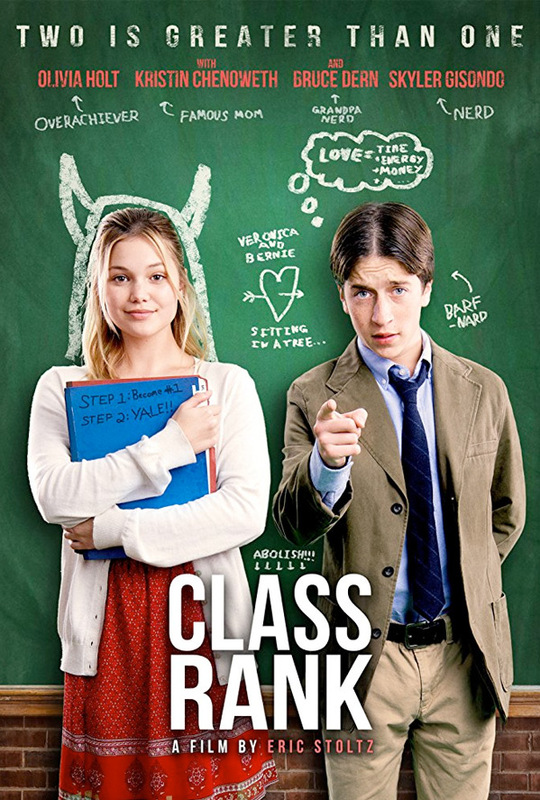 Cinedigm has released the trailer for a high school, teen comedy titled Class Rank, one of the first two films directed by actor-turned-filmmaker Eric Stoltz (his other film is Confessions of a Teenage Jesus Jerk). It's described as a "quirky teen comedy about placement, politics and finding your voice." The story follows two high school outsiders who join forces in an attempt to overtake the school board. Guided by their families, they enter the perilous word of politics and, in the process, learn a thing or two about love. Yep. Class Rank stars Olivia Holt, Skyler Gisondo, Kristin Chenoweth, plus Bruce Dern. This makes me want to watch Alexander Payne's Election again. The only thing holding Veronica (Holt) back from her dream of attending Yale is her #2 high-school class ranking. So when she devises a plan to elect fellow teen Bernard (Gisondo) to the local school board and abolish the ranking system, their unorthodox efforts inspire everyone around them to see life and love in a whole new light. 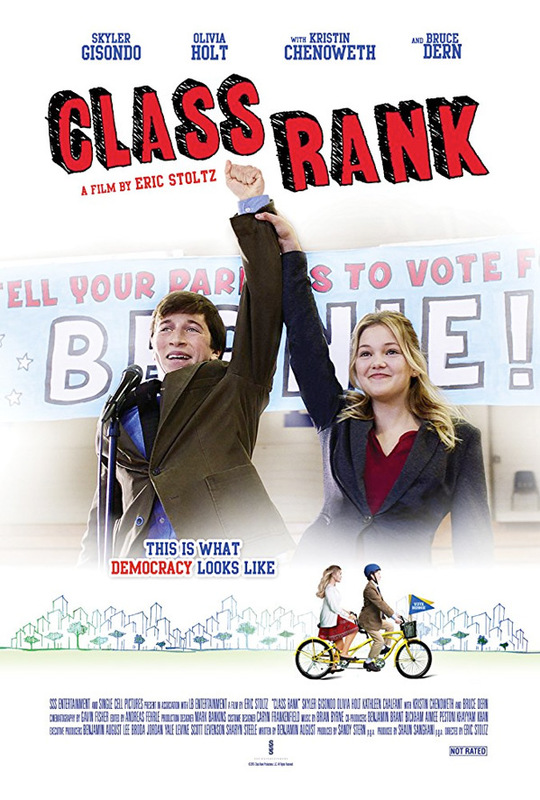 Class Rank is directed by American actor / filmmaker Eric Stoltz, making his directorial debut with this and Confessions of a Teenage Jesus Jerk last year. The screenplay is written by Benjamin August. Cinedigm will release Stoltz's Class Rank in select theaters + on VOD starting May 11th. Thoughts?